It's been a while since I took the time to sew a garment using hand-stitching. So in order to get back practicing different stitches, I have decided to take on a simple project and sew it entirely by hand. 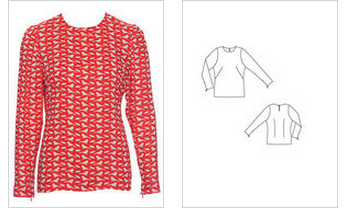 The first is a very simple blouse with interesting front and back shaping darts. 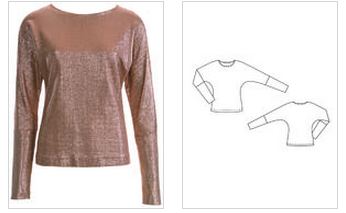 The second one, with dolman sleeves, is even simpler in construction. I have started working on the dolman sleeve top because, in my opinion, it has less room for error. This velvet came with me all the way from Japan and was not too expensive in case I screw it up. Now, in terms of techniques, I'll finish all of the edges with French seams, and probably go for a plain wider hem in order for the top to hang nicely. Fingers crossed, it'll really work out. After I've completed this top, I'll make the other one in silk. Oh wow that sounds like an amazing amount of work, and I look forward to seeing your top finished. I would love to follow the progress! Having never made a garment entirely using handsewing, I'm wondering how it will stand being worn and washed several times. Looking forward to see the finished result. Nice project, hand sewing is always so relaxing. 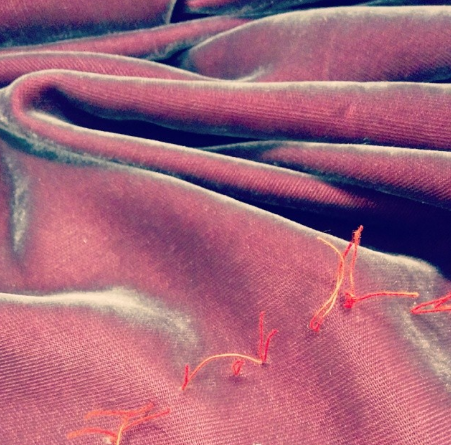 Isn't the velvet too thick for french seams? I think, it´s an amazing amount of work, having to sew all the blouse by hand. You are a person with patience! I want to know how is the durability of the garment sewn by hand, can´t wait to see your next steps!!! This velvet is rather thin. I've made a stitch sample using fabric scraps and it did not create much bulk. I am slightly worried about the area where the cuffs join the sleeves but I'll see. Thank you! You have more confidence in my skills than I do! Ooh! Looking forward to seeing how this turns out. Interesting! I hadn't really considered hand sewing an entire garment, but this should be fun! What an excellent plan! Will you post regular updates? Happy hand sewing! Fingers crossed! When I read about sewing by hand I though you're going to do some embroidery by hand. *^v^* Looking forward to the progress. :) Thank you, dear Pauline! Kudos for you for hand sewing. I have a lot of patience, but I don't thin I have that much! I've been wanting to handsew something for ages! I commute to work and I've often wondered if I could just take fabric, a needle and thread if I could make some basic tops on my train trip. I will be following along with this idea and I'm really interested in how they hold up with wearing and washing. Recently discovered your blog and love your work.